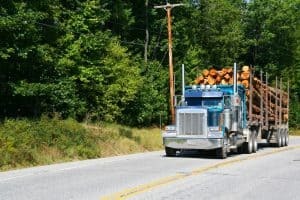 Logging Truck and Strawberry Truck Collide in Marshall County | Merkel & Cocke, P.A. A recent WREG news story reported that the two trucks collided at the intersection of Cayce Road and Highway 302. The accident happened around 8:45 in the morning. The victim, Brooks Brownlee, was driving the strawberry truck. Brownlee Farms said it would be closing its farm in nearby Red Banks. Mr. Brownlee was a beloved member of his community according to sources. The driver of the logging truck was taken to a hospital. The report indicated that the intersection is a well-known danger. Accidents happen almost every week according to witnesses. Part of the problem is that there are lot of factories there, so a lot of people are using the intersection. According to data compiled by the National Highway Traffic Safety Administration (NHTSA), nearly two in five (40%) of all vehicle accidents occur at intersections. The Insurance Institute for Highway Safety reports that 33% of intersection crashes occur in cities, and about 16% occur in rural areas. Making a faulty assumption. Drivers often guess whether a car is going to turn or go straight. They assume a driver is going to stop for a stop sign or non-green light. If they guess wrong, vehicles will crash into each other. Some drivers misjudge how fast a car is going which can lead to an intersection accident. Driver distraction. Drivers who are using a smartphone, texting while driving, or are otherwise distracted aren’t able to respond to emergencies. They don’t have their hands on the wheel and their eyes on the traffic in front of them. Multiple lanes. Where there are two, three or four lanes of traffic, cars can get stuck in the intersection while they wait for cars in front of them to move. Multiple lanes in each direction increase the odds of an accident exponentially. Obstructed views. Trees, bushes, poorly placed signs, rain, snow, and other factors can make it hard to see. Unclear lanes. Many times, the indicators that a certain lane is for left-hand turns only, isn’t clearly marked. Lack of traffic signals. If there isn’t a traffic signal, then drivers need to rely on the Mississippi right of way rules. Many drivers forget or disregard the rules. Vehicle heights. SUVs and trucks make it difficult for vehicles behind them to see what is going on in front of the SUV or truck. It helps if a driver can see that the car or truck two vehicles in front is turning. T-bone accidents are quite common at intersections. In this type of truck crash, the front of one truck collides with the side of another truck. T-bone truck accidents often cause deadly or catastrophic injuries. At Merkel & Cocke, P.A. our Mississippi truck accident lawyers work with investigators, the police, and others to determine how accidents happened and who’s responsible. Our attorneys also conduct thorough discovery of any witnesses and parties to the accident. We represent victims in Jackson, Clarksdale, Oxford, and across the entire Gulf Coast region. To discuss your case, please call us at 662.799.1633 or fill out our contact form.